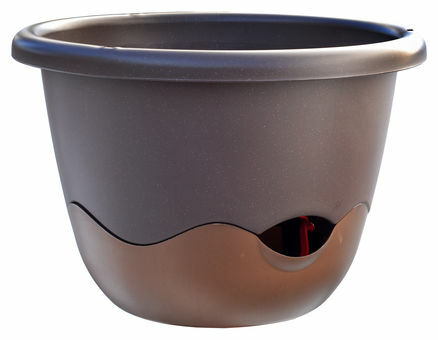 The extremely attractive design of the Mareta flower pot is suitable for outdoor plants. You can hang it on the terrace or balcony - sold with chain and hook. This two-piece plastic pot with watering angel is special because it has a self-irrigation system, so taking care of the soil moisture will be much easier. Humidity level indicator included.